Legal Texas Poker - Which Forms of Gambling Are Legal in Texas? Despite some of the big names to come out of Texas, including Doyle Brunson, poker is in most ways illegal. There are hardly any casinos, online poker is very much a dark gray area and there have been attempts to make social gaming legal (meaning it was once illegal). Of course, there are worse states to live in for poker players. But Texas sure isn’t far behind. Read on to learn why. 3) plays and bets for money or other thing of value at any game played with cards, dice, balls, or any other gambling device. So that makes online poker illegal in any case, online or not, in our eyes. The mentioning of 'gambling device' is icing on the cake. (a) A person commits an offense if, with the intent to further gambling, he knowingly communicates information as to bets, betting odds, or changes in betting odds or he knowingly provides, installs, or maintains equipment for the transmission or receipt of such information. However, on the other hand, you might be able to argue that online poker is excluded because you’re playing from your home, which is a private place. Gambling in a private place appears to not fall under the gambling statute, which is mentioned below. For the same reason it appears that social gambling is acceptable. Just make sure you’re playing in a home that cannot be mistaken for a gambling establishment. You also want to make sure that the house does not take a cut for food, entry into the game or a rake from the game. Do Casinos in Texas Offer Poker? Apparently the Kickapoo Lucky Eagle Casino is the only casino in Texas that is legal. They run no limit holdem and 7-card stud. Your other option is to travel outside the state to play. For players willing to make the drive, you can find games in Oklahoma. We receive a lot of questions regarding legal poker in Texas. We thought it would be helpful to post those questions and our answers here for everyone. We haven’t heard of any (recent) attempts to regulate online poker. However, there has been talk about allowing commercial casinos to setup shop within the state. 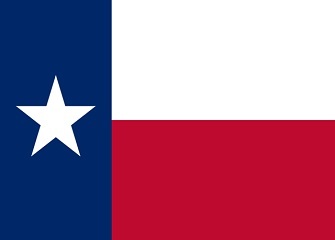 Here are the most recent updates regarding the changes in Texas’ gambling laws. Whenever there is an update or news to report, we will post about it here. March 14, 2013 – This bill would authorize federally regulated poker. In addition to Texas opting in, any state would have the option to opt-in as well (if it becomes available). Feb 28 – This bill was filed to legalize social (home) poker games. Is there an online poker room that accepts players from Texas? Yes. Residents of Texas can play online at sites powered by Merge or Revolution. There are a few independant poker networks available as well. .
What other forms of regulated gambling is offered in Texas? Texas has the one casino (Kickapoo Lucky Eagle Casino), para-mutual racing and a state lottery. There are also charitable raffles and bingo. Where can I read more about Texas poker laws? Here are some interesting facts about poker and gambling in the state of Texas. Doyle Brunson, considered the Godfather of poker, is also known to poker fans as Texas Dolly. Andy Beal is from Texas. He’s a rich banker that spent time playing high stakes games. The most famous games were against a team of players known as The Corporation. The Corporation consisted of Phil Ivey, Erik Sagstrom, David Oppenheim, Jennifer Harman, Ted Forrest, Todd Brunson and others. They all pooled their money together to play Andy. They eventually beat Andy for all his money (within 22 days). Before G.W Bush became president, he attempted to shut down one of the state’s tribal casinos. He failed.